Hey peeps...hope you had a fabulous weekend - mine definitely was...kinda hard not to when you have wonderful southern California weather to work with. I have three cards to share today. This week's challenges at The Play Date Cafe and CAS-ual Fridays are very special. 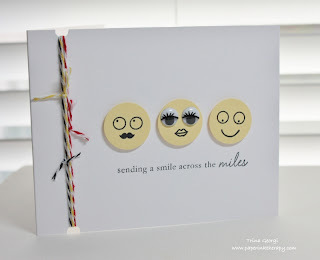 Please visit these sites to help support a fellow crafter, Julie Ranae and Operation Julie's Smile. I think one of the greatest benefits to crafting is the support you get from your fellow crafters...there's nothing like it, and I feel very fortunate to be a part of this community. Oh these are all just too fun, especially your first one! LOVE it!!!!! 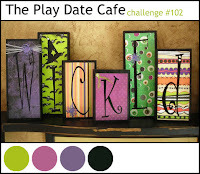 So glad you could join in the fun with us over at The Play Date Cafe Challenge! 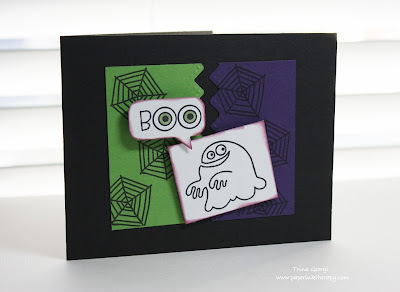 Love your cards and that ghost one is ADORABLE! I just ordered this set today and can't wait to get my hands on it :) Thanks for playing this week at the Play Date Cafe! 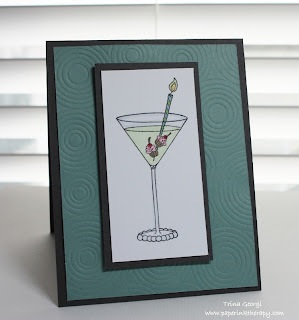 Neat, fun CAS cards! 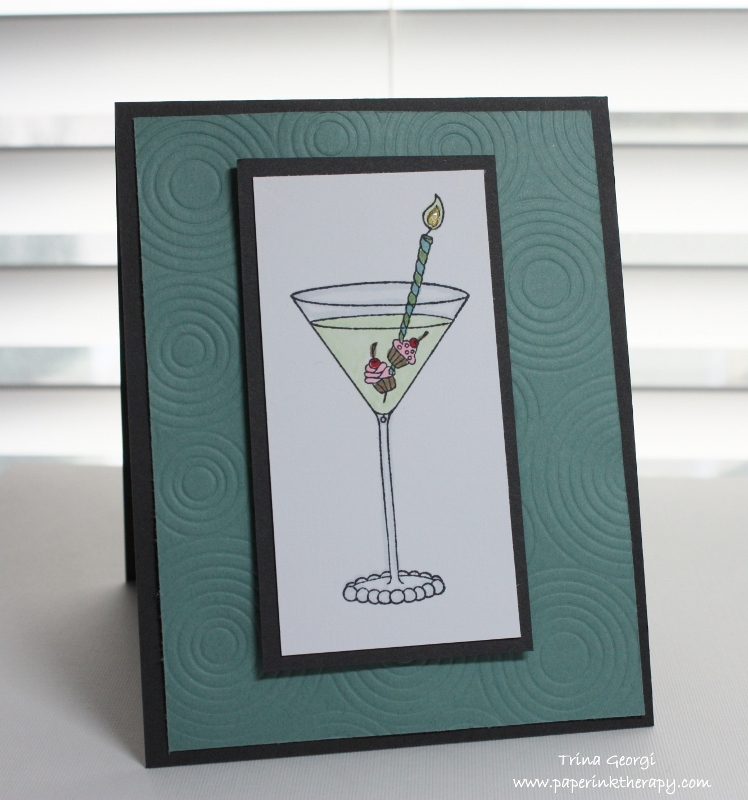 I especially love the martini. ;) Thanks for playing with us at The Play DAte Cafe this week! Great cards! I love the eyeball sentiment and how that ghost is so sneaky. Thanks for joining us at The Play Date Cafe this week. Oh my gosh, your smiley faces are brilliant! I love that card. 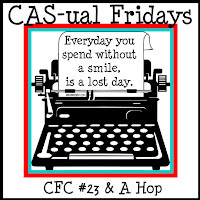 I'm so glad you joined us for CAS-ual Friday this week! CLEVER design!! I love how you used the twines and images! Thanks so much for joining the fun with us at CAS-ual Fridays! 2 super cute cards! Really loving those smiley faces :) Thanks for playing with us at CAS-ual Fridays! These projects are DARLING!! 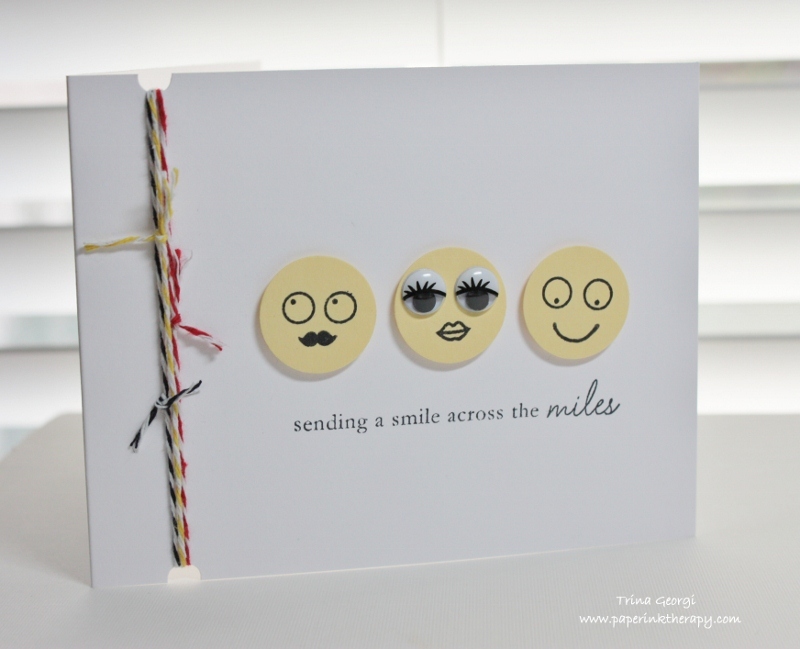 I adore that fun little ghost and those disguised smiley faces are too cute for words!! Thanks so much for playing with us at CAS-ual Fridays! All these cards are totally awesome! 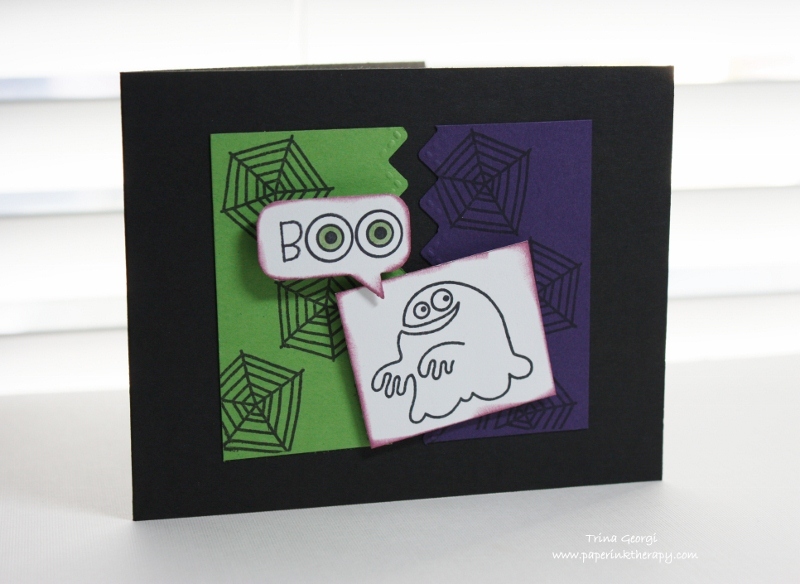 My fave is the halloween ghost, loving those stamped bold colour blocks!